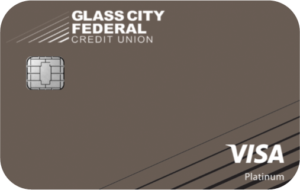 With no annual fee and no balance transfer or cash advance fees, a Glass City Platinum Visa credit card belongs at the front of your wallet! Plus, Glass City Visa credit cards feature chip technology, which provides an enhanced level of security as well as global acceptance. New cardholders may qualify for an introductory rate of 4.99% APR (Annual Percentage Rate) for six months. Also, we offer a grace period that gives you ample time to avoid finance charges, and credit lines up to $25,000. Apply here today! ○ Redeem points for travel, merchandise, gift cards and more! Overview Our lowest available rate on a Visa credit card. A great low rate—plus earn Loyalty Rewards points, which can be redeemed for travel, merchandise, and other items! Glass City also offers a Share Secured Visa option to help restore your credit history. 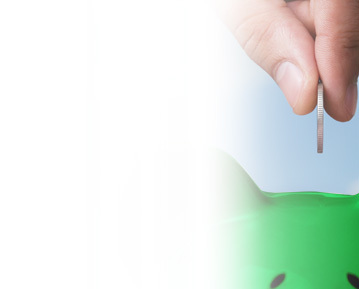 You simply secure your Visa Credit Line with an equal savings or Certificate of Deposit balance. Ask our staff for details. * APR = Annual Percentage Rate. 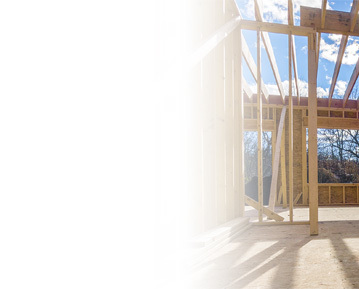 Subject to Glass City Federal membership eligibility, credit approval and application. Introductory APR applies to purchases, balance transfers and cash advances made during the first six months that the card is opened. After six months, the standard APR will apply and is based on credit score and history. Other restrictions and fees may apply. It’s Easy To Earn Loyalty Rewards Points! Use your Platinum Visa Credit Card (with Loyalty Rewards Points) for your purchases, and earn one Loyalty Reward Points for every qualifying net dollar you spend, which can be redeemed for travel, merchandise, gift cards and more! 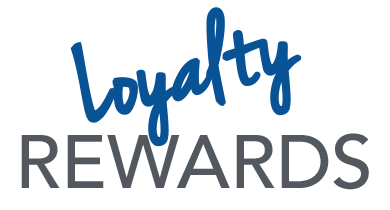 Click here for additional information and Frequently Asked Questions about Loyalty Rewards! *APR = Annual Percentage Rate. Subject to Glass City Federal membership eligibility, credit approval & application. Intro APR applies to purchases, balance transfers and cash advances made during the first six months after the card is opened. Only new Glass City Visa cardholders are eligible for the intro rate. For balance transfer offer, cardholder must transfer a qualifying balance from a non-Glass City credit card account to receive the intro APR. **After the first six months, the standard APR will be applied to all new and outstanding balances. Standard APR is based on credit score and history. Other restrictions and fees may apply. Offers expire 5/31/2019. At eZCardInfo, you can monitor your account’s activity, make payments, sign up for electronic statements, and register for alerts. Alerts are an easy way to monitor your account’s activity using email or text messaging. All alerts are delivered daily. Apply for a Glass City Platinum Visa today! Start earning Loyalty Rewards Points now!